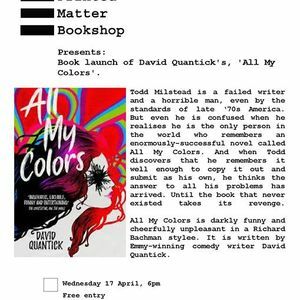 Book launch of David Quantick's new book, 'All My Colours'. 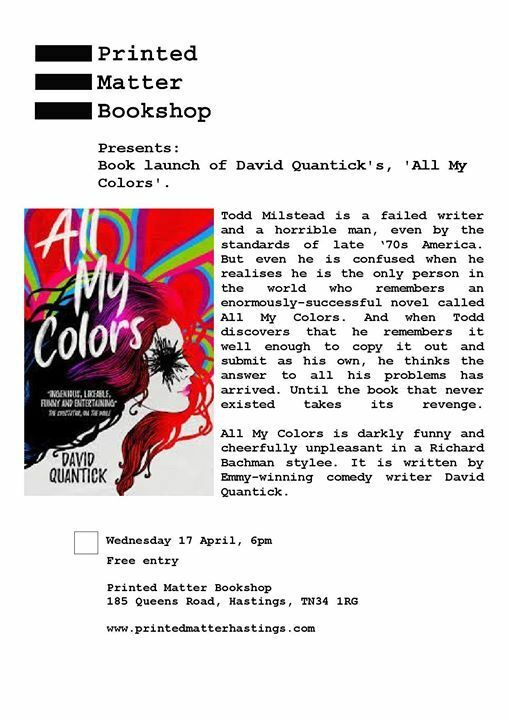 Wednesday 17th April. 6pm. Printed Matter Bookshop, 185 Queens Road, Hastings, TN34 1RG. Free entry.